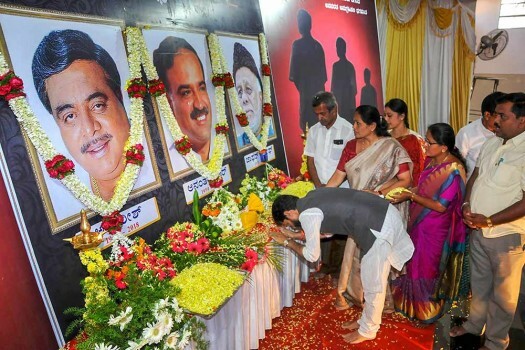 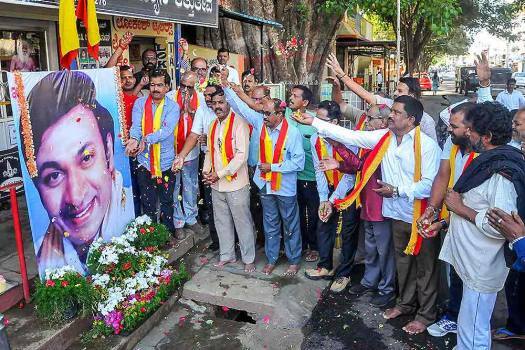 Fans of Kannada actor-singer late Rajkumar, celebrate his birth anniversary in Chikmagalur. 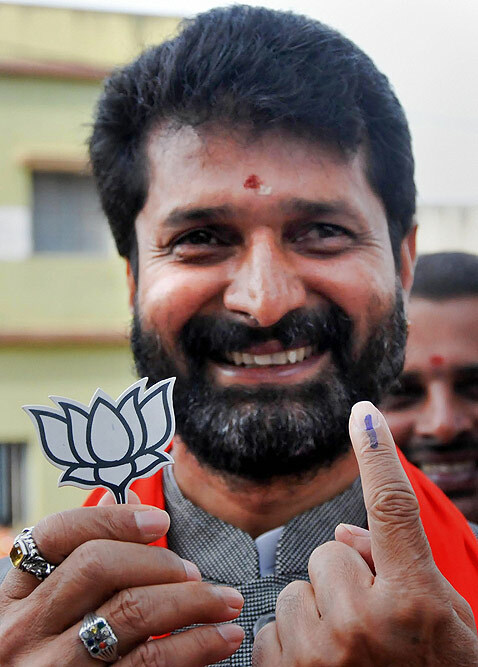 BJP leader CT Ravi shows his finger marked with indelible ink after casting vote during the second phase of the general elections, at a polling station in Chikmagalur. 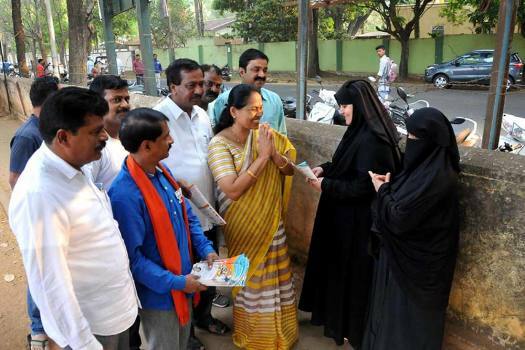 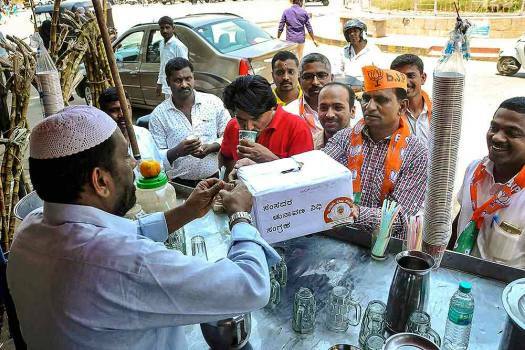 BJP activists collect funds for Lok Sabha election campaign, in Chikmagalur. 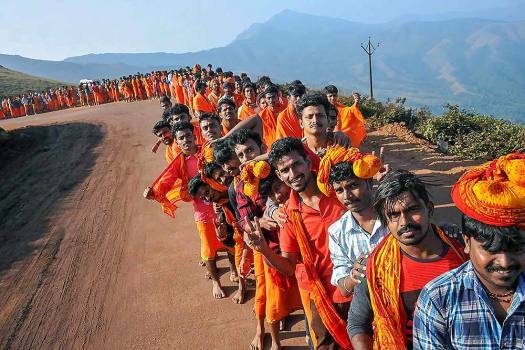 Datta devotees stand in a queue to offer prayers at a syncretic shrine on top of the Bababudangiri Hills on the occasion of Dattatreya Jayanthi, in Chikmagalur. 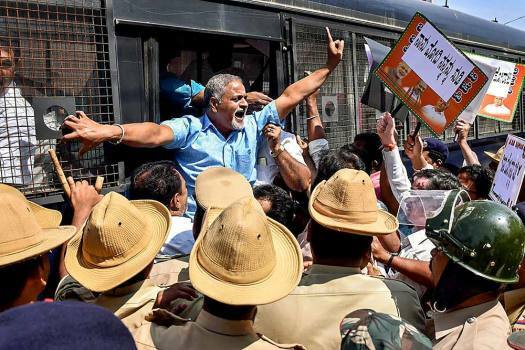 Police detain BJP activists who were protesting against Congress leader TB Jayachandra for his remarks over Prime Minister Narendra Modi, in Chikmagalur, Karnataka. 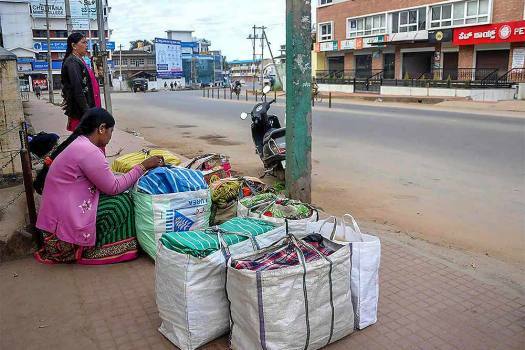 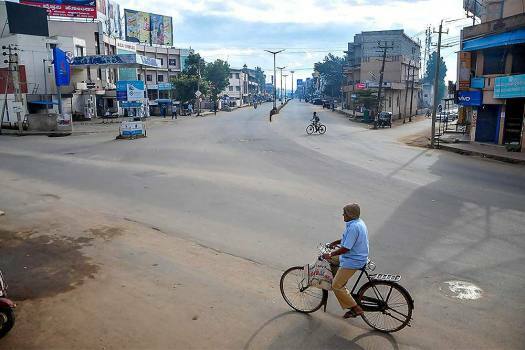 A view of a deserted road during 'Bharat Bandh' strike called by Congress and other parties against fuel price hike and depreciation of the rupee, in Chikmagalur. 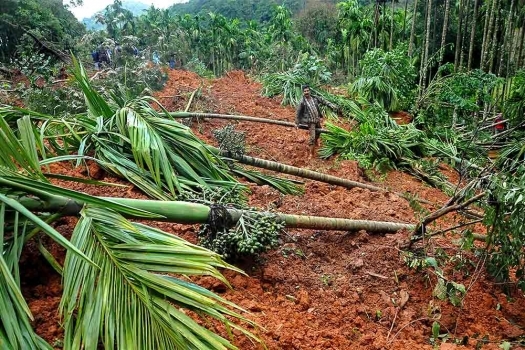 Arecanut and coffee plantation area lies damaged after heavy rain and landslide, at Jagra, near Chikmagalur. 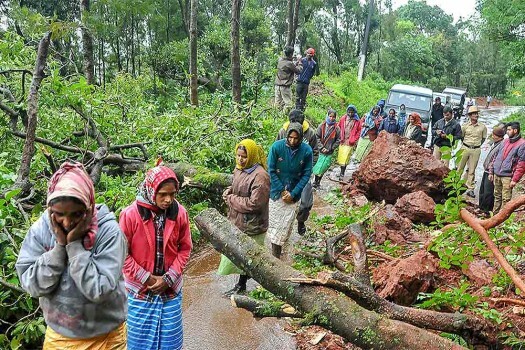 People stand near the site of a landslide on the Dattapetha-Chikmagalur road, near Chikmagalur. 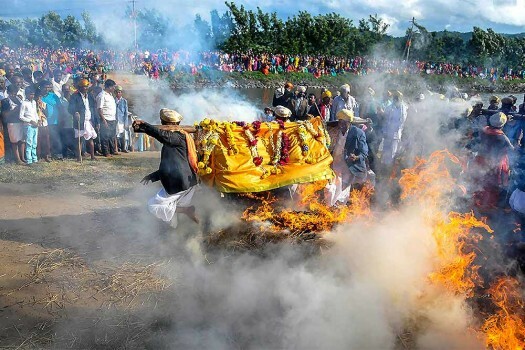 Devotees jump over a fire during a ritual on the occasion of Suggi Habba festival, in Chikmagalur. 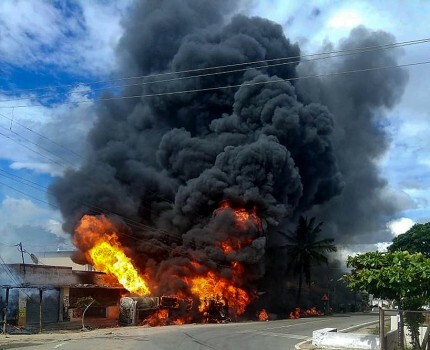 A petrol tanker bursts into flames after it toppled while taking a turn, at Giriyapura near Chikmagalur in Karnataka. 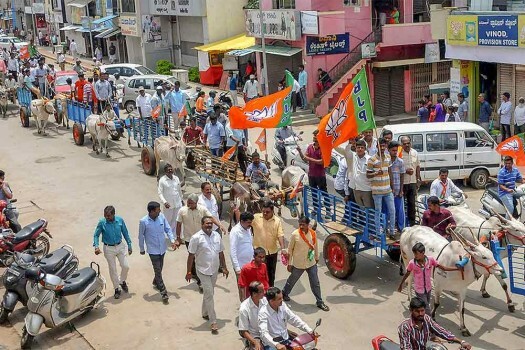 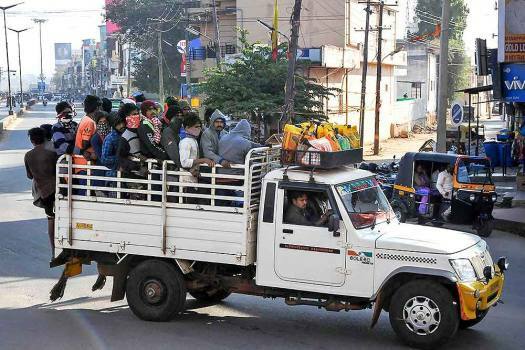 BJP workers stage a bullock-cart rally protest during their Karnataka bandh, called over the various issues of the farmers, in Chikmagalur. 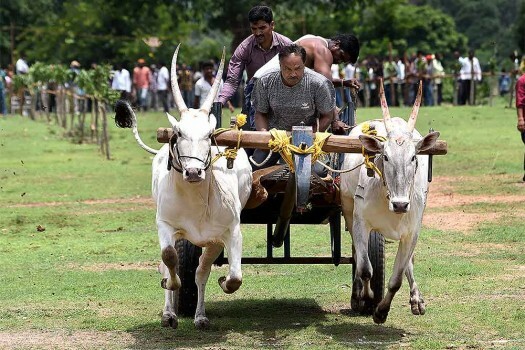 Participants at the state level bullock cart race at Hadihalli near Chikmagalur in Karnataka. 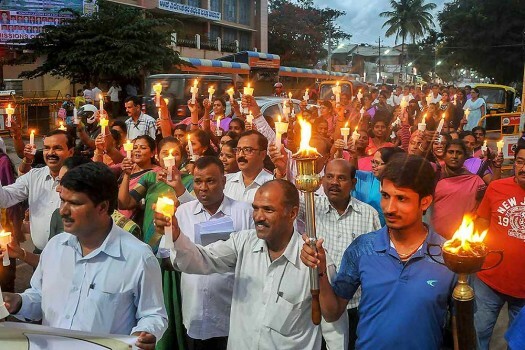 People participate in a candlemarch vigil organised by Election Commission to raise awareness for high voter's turnout ahead of Karnataka Assembly elections in Chikmagalur. 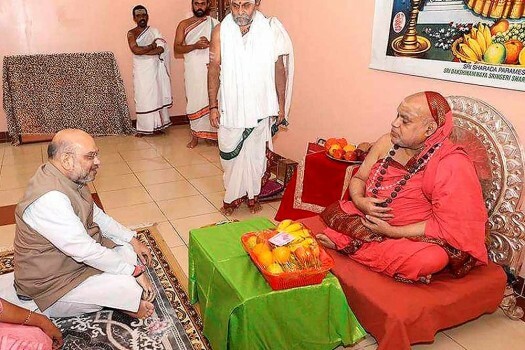 BJP President Amith Shah seeks blessings of Sri Bharati Tirtha Swamiji at Sringeri near Chikmagalur in Karnataka. 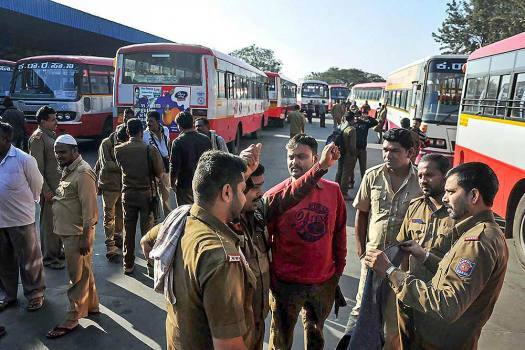 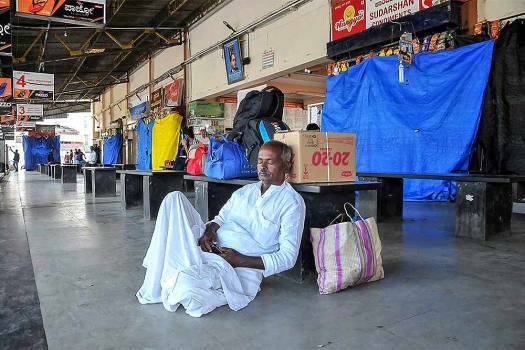 Searches are being conducted at over 20 locations across the country, including those in Bengaluru, Mumbai, Chennai and Chikkamagaluru.